One dark night, Boy 23 is thrown in the back of the van and driven out of My Place – the only home he has ever known. He is abandoned in a forest with a rucksack containing the bare essentials for survival. Before the van drives away, a voice tells him he must run as far as he can. His life depends on it. Boy 23 has never known another human. Boy 23 has never even been outside. So who is he? Why do people want to kill him? And more to the point, who is the voice that wants to save him? I received this book from Bloomsbury Australia and didn't know a thing about it. But I liked the cover right away, and decided to look it up on Goodreads. There seemed to be a mixed reaction, so I wasn't sure what to expect. Still, I was intrigued enough to give it a go. After reading a few chapters, I was hooked. 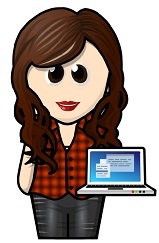 You get thrown right into the middle of the story in a way that keeps you glued to the pages until you find out more. Jesper--aka Boy 23--has lived his whole life in My Place. A room where his only companion is a bird and The Voice. Throughout his life he was set tasks, learned how to solve complicated problems, watched videos on a screen to enhance his learning, and was kept fed and clothed. He even knows the basics about how to survive in the wild. So when The Voice drops him off in the middle of nowhere with a backpack full of supplies, tells him to head north-west, and stay away from other humans... he does as instructed. Jesper trusts The Voice because he's never given him reason not to. Even though he has a lot of questions and the landscape around him is mostly fallen buildings and empty villages, he enjoys the freedom and isolation. His only connection to The Voice is a handheld device (a scroll) which he eventually loses after he's rundown. When Jesper wakes up in an orphanage run by priests preaching religion and making kids work for their keep, all he wants to do is escape. Not to mention that he can't understand their language (most people speak German) and he's constantly getting bullied. It's during one of these incidents that the priest in charge finds out a fascinating secret about Jesper and is suddenly very interested in parading him around. While most kids choose to keep their distance, there is one girl called Carina who is willing to speak and befriend him. And it's with Carina and a helpful hand from The Voice that Jesper might find his freedom, get some answers and find out what really happened in this broken world. O. M. G. This book was such an awesome surprise! Like I mentioned above, I didn't know what to expect when I set on this journey, but I found myself on a cat and mouse chase that took me over a desolate version of Europe and slowly revealed the many reasons why everything was now devastated. This action adventure story is told in the alternating POVs of Jesper (Boy 23), Carina (an orphan with a heart-breaking story) and Blake (an official with a personal interest in the situation). Each one has their own secrets and the longer we spend with each character the more we realise just how scary, dangerous and controlled the world they live in happens to be. There are some very cool revelations and secrets that only enhance the experience. 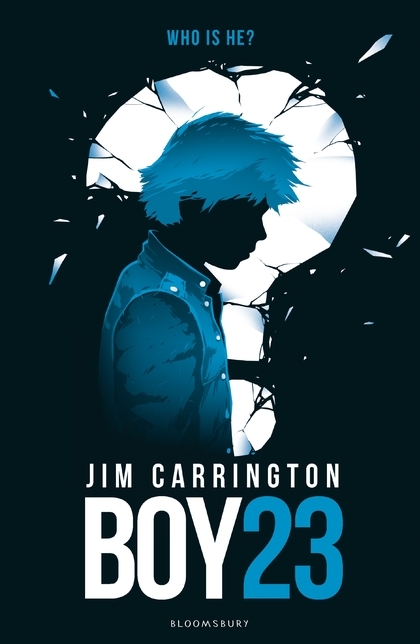 Boy 23 is an amazing and very clever YA dystopian/sci-fi thriller. As soon as you strap in, this story hooks you in and doesn't let go while the characters try to escape one terrible situation after another. As soon as I started all I wanted to do was keep reading to find out more. It really is a thrill ride that kept me on the edge of my seat from start to finish.